On a mild day in 1948, the Swiss engineer George de Mestral went hiking in the Alps with his dog. When they returned revived by the mountain air, he saw that the dog's fur had picked up a number of burrs from plants on the side of the path. As he bent down to pick them off, something stirred in his brain, and he kept the burrs in his pocket to examine under a microscope. Later, he discovered a way of mimicking the hooks and loops of the burrs in synthetic material. Velcro was born and soon became a household name. It was one of the earliest examples of biomimicry, a product inspired by natural phenomena. Biomimetic and bio-inspired innovations are on the rise. As the world strives to come off fossil fuels and energy-dense processes to avoid further global warming, anything that decreases production and minimises materials is a powerful prospect for business, design and industry. Processes in nature often require less energy to achieve their ends, as Janine Benyus points out. There are only about five polymers, or long chains of molecules, commonly used in the natural world, whereas in our commercial world we have manufactured more than 350. So a new generation of scientists is looking outdoors to solve problems, from Olympic swimsuits inspired by the texture of sharkskin to flying robots modelled on a insects and birds. Human innovation, design and industry are astonishing – but the Anthropocene, or Age Of Man, represents a blink of an eye in evolutionary history. Evangelists of biomimicry believe that scientists, makers and thinkers can not only look to nature and evolution to solve problems; but can also combine ideas from nature using human technology and ingenuity. Just as biological evolution can be seen as a process of trial and error, so many of the most profound advances have been made through experiment and accident. 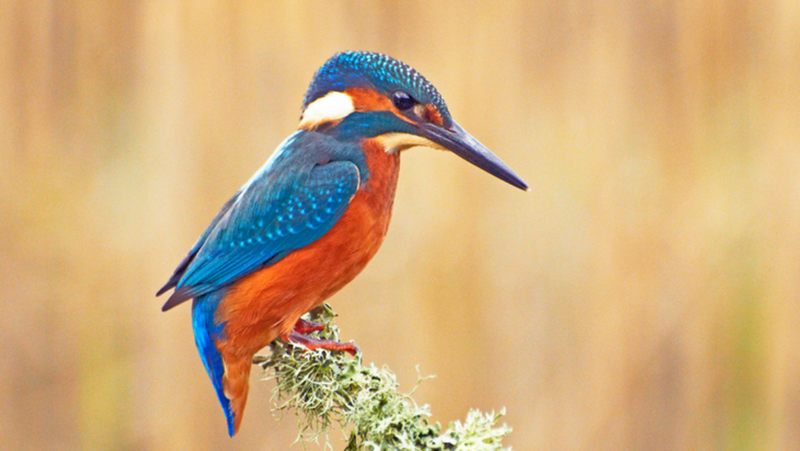 Tens of millions of years ago, the kingfisher's beak, for example, evolved a shape that allowed it to enter the water without a splash, so as not to frighten away prey. 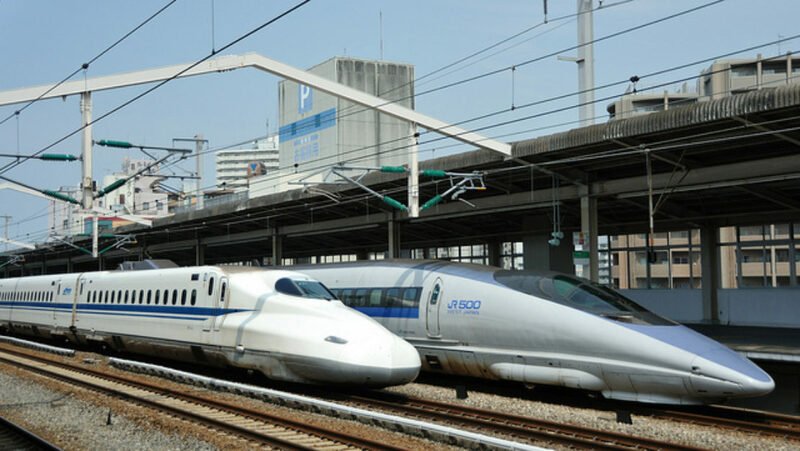 This streamlined effect was copied in the design of the Japanese bullet train to solve the problem of its loud booming noise in the 1990s. Today, we know more about natural processes on a chemical, physical, biological and atomic level than ever before; so there are rapidly increasing opportunities to combine new knowledge with human innovation. Biomimetic discoveries are often reported with much excitement – they are often cool ideas that fire the imagination – but many are still hypothetical and hopeful. How effective, then, can biomimicry actually be in the real world? Decades after de Mestral's realisation, another Swiss scientist is looking to nature to inspire flying robots. Dr Mirko Kovac is director of the Aerial Robotics Laboratory at Imperial College London. When I meet him, we stand and talk in the Lab's flight arena where the robots are tested. It resembles an enormous playground surrounded by netting to keep the robots in, with high-speed cameras and light-reflective markers to detect their positions. There is a thick, free-standing pipeline in the middle with what looks like hardened goo oozing out of it – but it is actually a mixture of chemicals put there by a robot. Its development was inspired by the way birds use saliva to fix or build their nests. Similarly, a robot can use this substance to repair damage to bridges or pipes. Back in Dr Kovac's office, I hold a much smaller robot in the palm of my hand. It has legs like a grasshopper; indeed, the detailed locomotion of grasshoppers was studied to recreate an elastic element, which allows the robot to spring as high as 1.4 metres. Dr Kovac explains that whereas in a normal engineering system this four-bar mechanism would be too heavy, a grasshopper's leg is very light. If his flying robot is to be more than a simple drone and useful in complex environments, it needs to be good at landing, perching, jumping and avoiding obstacles. (Perching is especially important because it requires less energy than hovering.) Dr Kovac imagines these small jumping robots working in swarms in a forest, detecting temperature and humidity in order to monitor climate change. Some of the robots are currently being tested halfway around the world in the Honduran rainforest. The flying robots could also be used in agriculture to avoid the wasteful process of spraying water and pesticides on entire fields. While satellite imagery used to collect information about farm fields can be helpful, it is costly and often compromised by cloud cover. Flying robots, with their ability to sample environments, could enable specific areas of a field to be treated instead. These robots could even be applied to search and rescue technologies, where they could detect forest fires, pollutants, oil spills or tsunamis. Drones are already being used in this way in Nepal and Fukushima: areas that could be dangerous for a human to venture into, but where a robot could gather information that may save lives. Looking at how a flying squirrel glides, a lizard jumps or a bird perches has informed Dr Kovac's 20 or so adaptations – and helped to make them more sophisticated than many other drones on the market. Such thinking isn't new: in 16th-century Italy, Leonardo da Vinci studied the behaviour of birds on the wing in order to design his flying machines. "Animals and robots share the same challenges of how to move in complex environments, at low energetic cost, and how to be multifunctional," says Dr Kovac. "Nature has principles we might not have thought of. By analysing the natural systems we can understand what it is about them which makes them high performing and build them into the robots." Currently, the Aerial Robotics Lab is working with industrial partners and startups to commercialise its robots; and some are in the field already. In rural Africa, for example, a project called Red Line is developing a way of sending flying robots over 100km to deliver blood samples to inaccessible areas. Health is a major focus for another bio-inspired technology called Sharklet, which uses textures inspired by sharkskin to repel bacteria. "The surface creates an energetically unstable surface that makes it difficult for microbes like bacteria to be able to attach to," says Sharklet CEO Mark Spiecker. "If you're bacteria and you're trying to grow and replicate, the first thing you want to do is attach. If you don't attach you just die off naturally." The first way of using Sharklet is to protect high-touch surfaces from bacteria that would lead to infection in, say, hospital rooms. The second application is in medical devices: currently the company is developing a urinary catheter using the technology. "In the US, about two million people a year get hospital-acquired infections," says Spiecker. "$30bn is spent on treating those and 100,000 die." Forty per cent of those infections relate to the use of urinary catheters. 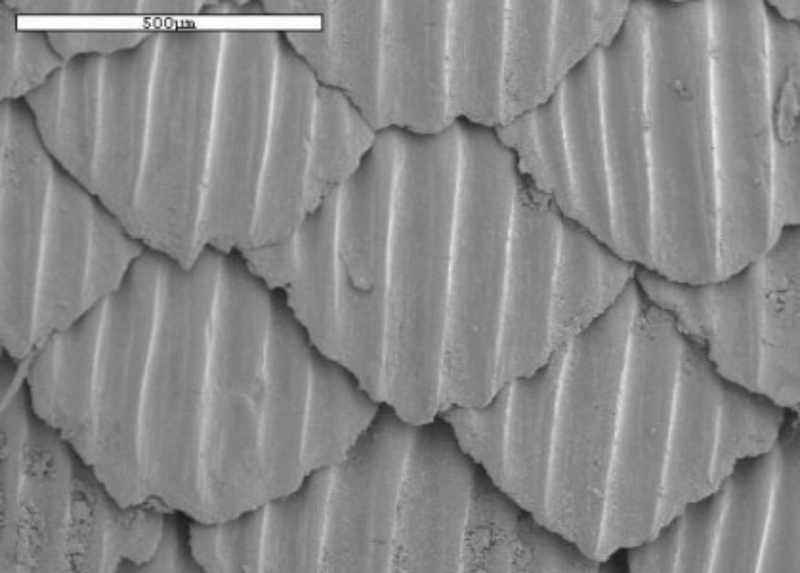 Sharklet is able to reduce bacterial migration by 99.9 per cent, says Spiecker. The technology is licensed and registered for clinical trial. Another creature that could improve human health is the gecko. Some species of geckos have adhesive toe pads, which allow them to stick to walls and climb trees. 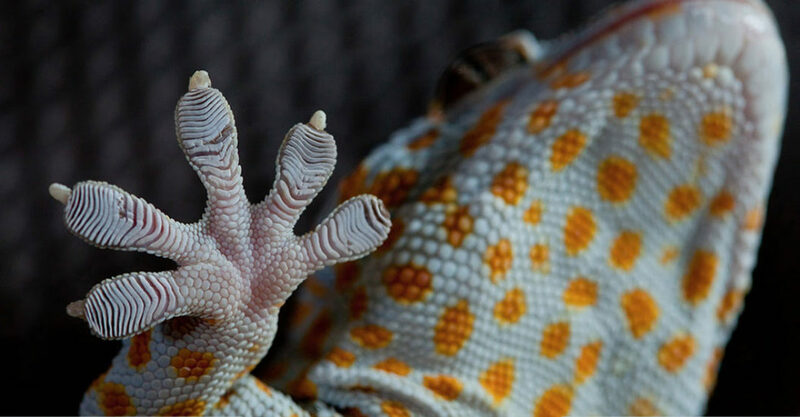 Following detailed study of how the hair patterns on the gecko's feet control adhesion, scientists at UMass Amherst have created a synthetic adhesive called Geckskin, which they patented in 2009. Commercial medical uses could include skin adhesives that take the pain out of removing a bandage. 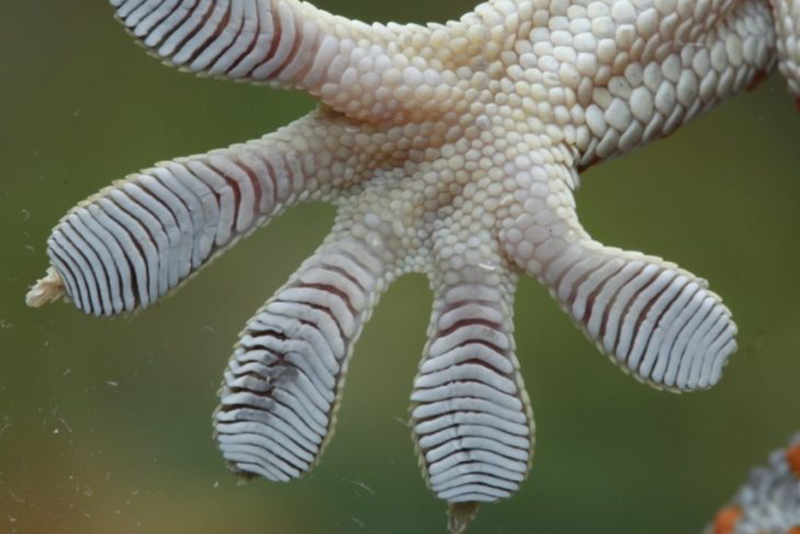 "You can decrease the pain but also address sensitivities to adhesives," says polymer scientist Al Crosby, who has been working on gecko-inspired adhesion since 2002. At the moment, says Crosby, Geckskin is in the process of finding the most appropriate partners and markets for the product. In rainforests, millennia ago, the pitcher plant evolved slippery lips that even the stickiest gecko might have slid down, straight into the plant's deadly digestive juices. The team at SLIPS Technologies have mimicked this material. It is currently being tested by marine paint companies to protect ships from fouling by microorganisms and algae, which can in turn lead to fuel leaks costing billions of dollars in fines and fuel wastage. Cargo and container vessels can be billed with weighty fines for having holes in their infrastructure that leak fuel. Vice President of Business Development Scott Healey estimates that 40 to 50 per cent of fuel is wasted because of fouling which can cost billions of dollars. SLIPS can also be used in the medical world on stents or urinary catheters to prevent biofouling in a similar way. At the moment, it is being clinically trialled at a hospital in Spain and tested elsewhere. Closer to home, nature in its molecular form is being studied with a view to revolutionising medicine. Professor Giuseppe Battaglia, chair of molecular bionics at UCL, started his career in chemical engineering. He began his biomimetic adventure at Sheffield University, where he became captivated by how cells contain and carry molecules from A to B. He researched the principle and applied it to human body. "Biology uses those carriers all the time," says Battaglia. "It's how cells communicate with each other, how bacteria moves. We use the same structural information from biology [and] put them in synthetic version to control them and replicate certain functions. We are copying nature." This technique would enable drugs to be delivered more effectively to the right areas of the body. With a normal drug-delivery system, there can be wastage or unwanted interactions with other parts of the body. "When the drug reaches target it has an effect," says Battaglia, "but inevitably you use a lot of materials, because you need much more and this can create side effects," explains Professor Battaglia. "We're trying to create little carriers that encapsulate those drugs and move through the different parts of the body and potentially target the right parts." Battaglia explains that in nature there is a process called chemotaxis, whereby cells or organisms move in the direction of certain chemicals. For example, a dog walks to a particular place because it smells food – or the chemicals in it – in the air. "That concept goes down to the molecular level," he says. "Bacterias can smell chemicals. Cells can do the same." At the moment, he says, the blood-brain barrier prevents 99 per cent of drugs from entering, which is a big problem for neurological disorders such as Alzheimer's and dementia. After nearly six years of work, Battaglia's device is able to get through the blood-brain barrier. "We can take biology, extract those principles, put them back into an engineering device to solve a problem," he says. "The technology can go anywhere: cancer, infections, TB, heart disease, even gingivitis." It sounds promising but Battaglia says it's still far away from being used on humans. "It's a very slow process. All the drugs, therapies in the market right now, they were probably developed at least 20 or 25 years ago. For a single molecule you need $1bn. It's expensive and involves time and resources. That's why clinical development is completely dominated by Big Pharma." Many of these biomimetic products have been developed, talked about for years and sound promising; but few have actually made it to market yet. As, Battaglia says, time and money are crucial. Sharklet's Mark Spiecker estimates it costs $50m dollars to make one medical device. Also, the timing hasn't been ideal. Just as people were starting to seriously consider commercialising biomimetic technologies, the financial crisis happened. "In 2008 the markets fell apart," says Spiecker. "Half the venture capitalists disappeared, and of the half that were left, most had to save money for companies they'd already invested into, so there was little new investment. The [US] government who provide research grants cut back their budgets," he says. Also, bio-inspired ideas can take a while for people to get used to. A challenge for Sharklet, in particular, has been to adapt thinking to a new concept. "We're the first technology interested in not killing but controlling the bacteria," says Spiecker, "and keeping it from getting to places that can cause infections." Moreover, as Battaglia points out, "Biology is a relatively new discipline. 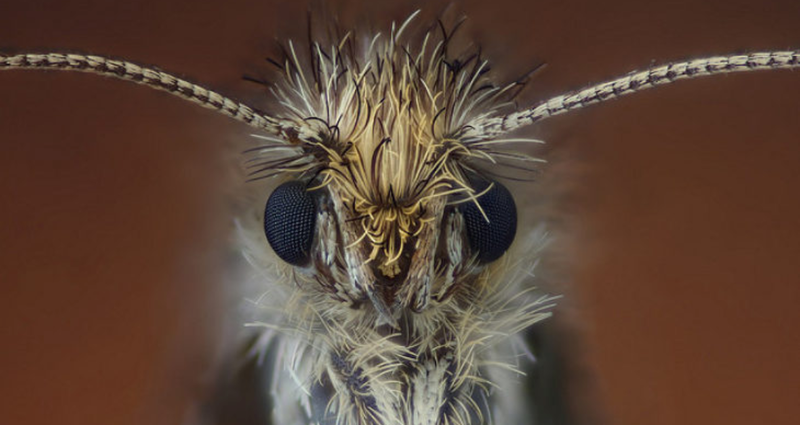 For many years it was down to taxonomy and observing animal behaviour." Bioengineering has also only developed over the last few decades. Michelle Oyen's engineering lab at Cambridge University recently managed to make synthetic bone. 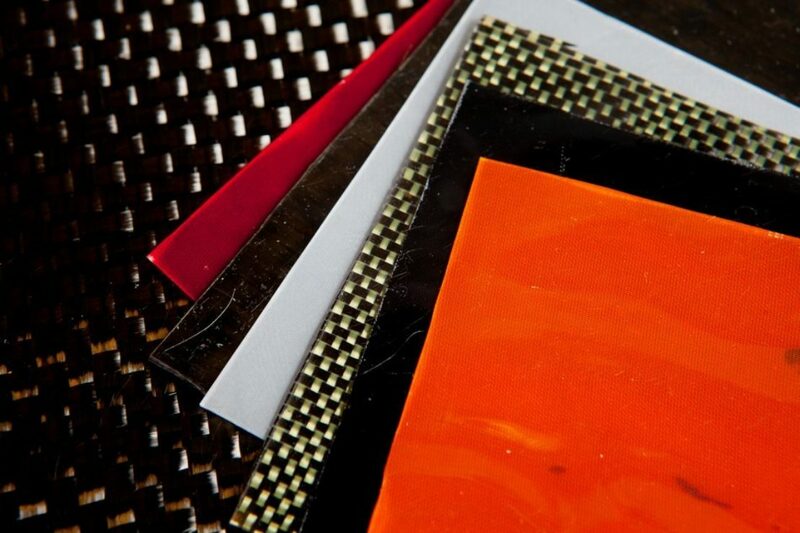 Oyen is keen for people to rethink the materials we use. Crucially, building with natural materials such as wood or other biomimetic materials like eggshell would reduce energy consumption. Bone is a good material for building because, says Oyen, "It has good stiffness, strength and toughness for its weight. You want to raise something up into the air so materials that aren't too dense or heavy are an advantage." Processing concrete and steel – the traditional building materials – requires a lot of electricity. "The way engineers make materials is energy intensive, involving high temperature and high pressure. The way nature makes materials isn't like that; so maybe we can think about how that works and make materials that have a small carbon footprint." Still, there's a long way to go. The entire economic building infrastructure is based on concrete and steel, which makes it the cheaper option. A prototype of the first biomimicked building would cost millions. But Oyen is optimistic; "People are becoming much more aware of the fact that if we don't do something big we're going to lose control of what's going on with this planet." 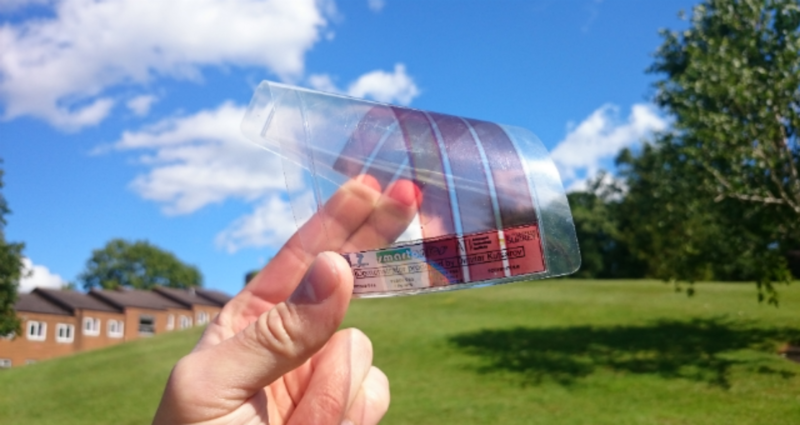 The Advanced Technology Institute at the University of Surrey made a significant breakthrough in the world of energy recently: it created light-absorbent graphene inspired by the structure of moth eyes, which allows light to be harvested in solar cells. 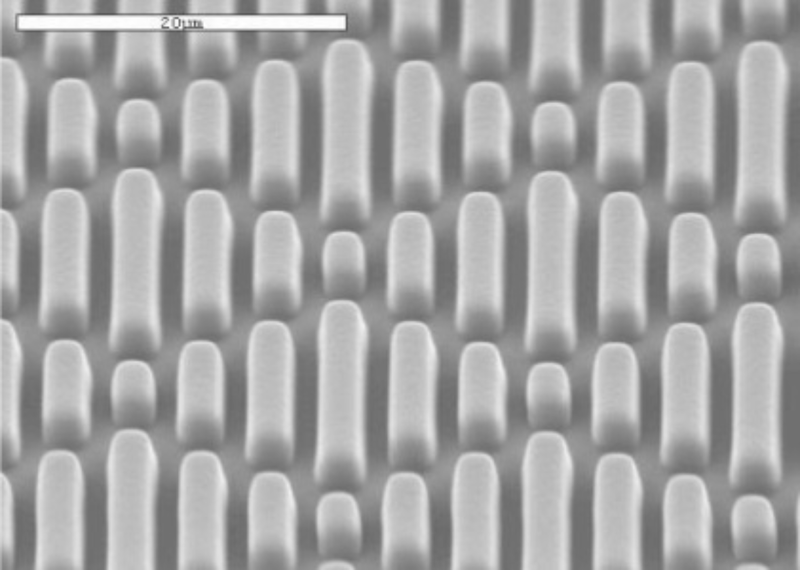 The graphene wafers I look at in director Ravi Silva's office reflect absolutely no light. They resemble velvet but they're hard and paper-thin. They're strangely beautiful and the blackest things I've ever seen. "This room is jam-packed with various beams of light whizzing here, there and everywhere," says Silva. "The question is, can we harness that energy? What we are proposing with this material is that because it's got such a broad band of energy we can capture energy in all of those spectrums, from the UV to the visible to the infrared. Once we capture it, how do we use it?" Now all they need is a company or companies to collaborate with on the processing side. Silva is hopeful that their breakthrough could one day become a household name. Imagine if you could stick up a solar cell as 'smart wallpaper' and power your electrical devices from energy in the room. "We would like it be part of the solution to the energy crisis," he says. "The biggest problem facing humanity is being able to capture energy efficiently." The day before I got there, the largest solar cell manufacturer in the world, based in China, had visited the Institute. The graphene solar cell and Battaglia's cell carriers have been made possible by advancements in nanotechnology over the last few decades. As more and more technologies can be applied on a micro scale, the opportunities for understanding natural processes – and mimicking them – increase. Alongside this, companies are keen to improve their environmental credentials. "It creates a formidable cocktail," says Marc Desmulliez, professor at the School of Engineering at Heriot-Watt University in Edinburgh. "The key problem that companies are facing is they do not have a proper methodology on how to translate biological processes into manufacturing ideas," he says. "It's a multi-disciplinary field: you need a biologist, mechanical engineer, electrical engineer, designer and botanist." If you're a mechanical engineer, you know what your materials are, and the basic principles you're working with. With nature, it's not so easy to capture exactly how complex things work. But things are changing. Schools in Britain introduced biomimicry into the syllabus this year. Germany has invested €100m in the area in the last 15 years; and France started investing in the last five. "We are in the rising age of biomimicry," says Desmulliez. "If you look at the number of publications in the last five years with the words biomimicry and biomimetics you'll see an exponential growth." Surely it would make sense for every scientist or engineer to look to nature to solve problems? For biomimicry to become a regular part of the real world, what's needed may be, as Dr Mirko Kovac puts it, "a paradigm shift, or a philosophy shift". What is perhaps surprising is that it has taken so long for scientists and engineers to realise that biomimicry might be a potent aid. If nature has solved problems for millennia, why wouldn't we turn to it for ideas? "It's an uncomfortable place," says Dr Kovac, "because it's at the interface of disciplines. It's much more comfortable to stick to a narrow contribution that feels safe. Being at the limit of things that are not mainstream or as clear needs more courage and effort." Why does science remain so male-dominated?